Background/Purpose: Bromodomain proteins (BRD) contain conserved acetyl-lysine binding domains that specifically recognize ε-N-lysine acetylation motifs, a key event in the reading process of epigenetic marks. We have identified a single nucleotide polymorphism in the BRD1 locus that is associated with the progression of joint destruction in rheumatoid arthritis (RA) in stage-I of a genome-wide association study (Knevel et al., Ann Rheum Dis. 2014). In the current study we investigated the role of BRD1 in the regulation of gene expression levels and functional properties in rheumatoid arthritis synovial fibroblasts (RASF). Methods: RASF (n=8-10) were transfected with siRNAs targeting BRD1, or scrambled siRNAs as a control. 24 hours later cells were stimulated with TNFα (10 ng/ml), IL1β (1 ng/ml), or the Toll-like receptor (TLR) 2 agonist Pam3 (100 ng/ml), the TLR3 agonist pIC (10 µg/ml) or the TLR4 agonist LPS (100 ng/ml). Knockdown of BRD1 was verified by quantitative RT-PCR and Western blotting. Expression levels and secretion rates into cell culture supernatants of MMP1, MMP3, IL6 and IL8 were evaluated by RT-PCR and ELISA, respectively. The enrichment of histone 3 (H3) lysine 14 acetylation (H3K14ac) levels, a histone mark associated with BRD1 function (Mishima et al., Blood, 2011), in promoter regions of MMPs, IL6 and IL8 were determined by Chromatin Immunoprecipitation (ChIP, n=4) and analyzed relative to input DNA. Proliferation (n=6) properties of RASF after silencing of BRD1 were analyzed using an impedance-based system for real-time cell-based proliferation and adhesion (xCELLigence System) in presence and absence of TNFα. Results: Silencing of BRD1 increased the TNFα and LPS-induced secretion rates of MMP3 (TNFα p<0.01, LPS p=0.056), IL8 (TNFα p<0.01, LPS p<0.01) as well as LPS-induced levels of IL6 (p<0.01). In contrast, basal MMP1 (p<0.05) secretion levels were decreased by BRD1 silencing. Similar results were obtained on mRNA levels. After stimulation of RASF with other inflammatory stimuli silencing of BRD1 had no effect on secretion rates of MMP1, MMP3, IL6 and IL8. ChIP analysis showed no differences in H3K14ac levels in TNFα treated compared to untreated RASF in promoter regions of MMP1, MMP3, IL6 and IL8. However, we detected strongly reduced levels of total histone 3 (H3) levels in IL6 and IL8 (p<0.05) but not MMP promoter regions after TNFα stimulation, indicating that histone eviction is involved in the cytokine response induced by TNFα. Furthermore, silencing of BRD1 reduced proliferation rates (p<0.05) and increased the doubling time (p<0.05) of RASF both in presence and absence of TNFα without changing the adhesion properties of RASF towards plastic. Disclosure: K. Klein, None; R. E. Gay, None; C. Kolling, None; S. Gay, None; C. Ospelt, None. Klein K, Gay RE, Kolling C, Gay S, Ospelt C. A Dual Role of Bromodomain Containing 1 Protein in Rheumatoid Arthritis Synovial Fibroblasts [abstract]. Arthritis Rheumatol. 2016; 68 (suppl 10). 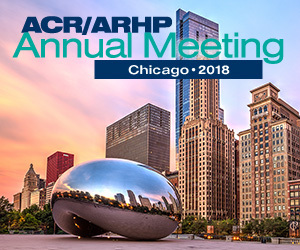 https://acrabstracts.org/abstract/a-dual-role-of-bromodomain-containing-1-protein-in-rheumatoid-arthritis-synovial-fibroblasts/. Accessed April 22, 2019.